The implementation of the National Sports Policy will be a priority in 2019 says Minister of Social Cohesion with responsibility for Sports Dr. George Norton. He made the disclosure during the 2019 National Budget Debates in the National Assembly yesterday. Earlier this year, the policy was released in its draft form and circulated among sports federations and organisations and online as well to garner feedback and recommendations. 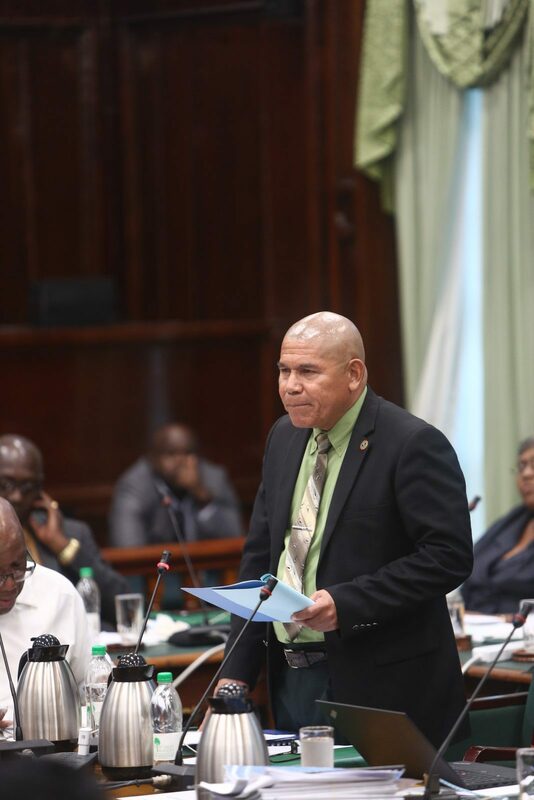 In 2019, the Minister said, consultations and sensitisation initiatives will continue, towards the continued growth and development of the sports sector. This will be done by way of programmes consisting of outreaches and the wider circulation of documents, including brochures, flyers, posters. According to Minister Norton one of the main areas of focus will centre on is anti-doping. “The policy provides the basis for a structured pathway towards incentives, press coverage, international exposure and sports tourism, as well as issues of clean sport and anti-doping education. Guyana remains World Anti-Doping Agency (WADA) compliant” he stated. The National Sports Policy has been one of this administration’s main focal points upon assuming office in 2015 and has been the topic of discussion ever since. Once completed, the policy is expected to, among others things, address the structures, programmes and infrastructure required for recreational and high-performance sport and how best to facilitate and support the achievement of the sports objectives over the next ten years.